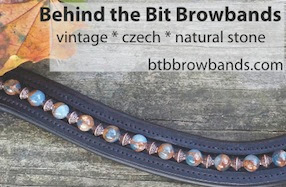 Behind the Bit: Dead broke horse? Or just dead? Dead broke horse? Or just dead? Why?? Why do people do stuff like that? The swimming stuff is fun but the tarp? And standing up on horse's back with no control at all. Geez - wonder if she could travel to Eastern Kansas and work with my coming 5 yr old! Used to be spook proof but gain this trait as he's aged. At 48 I'm too hold to jump on anything and not foolish enough to use tarp except to cover hay! Is this the same girl? http://www.valleyviewranch.net/ She definitely has the right methods for bomb proofing horses. what we all need are more horses to enjoy like that one. I have a 5 year old that will chase down a tarp to stand on it. She will eventually be a horse for as yet to be born grandchildren, so life proofing is a very important part of her education, as it is to all the babies I start. And yes it seems foolhardy, but watch horses in the free, they are fairly brave and tolerate a lot, not abuse, just strange loud and weird life stuff. Perhaps we are prima donaing our horses into schitzos? That horse sure puts up with a lot of crap. It makes her look good. The trick would be to see if she could pull the same stuff with another horse. A friend owns a western pleasure trained horse that is that bomb proof. She bought the horse for her daughter who grew up with it. The girl soon wanted to bend poles and chase cans and jump, and the horse is no longer quite so bomb proof now. The horse gets to the point where it doesn't want to "play" anymore and bolts. My mare I had for thirteen years was almost that bombproof. Don't think I could stand on her back with a tarp blowing like that, but everything else I could do. I could even ride her around with a towel over her head so she couldn't see at a walk, trot and canter! She was awesome! I've seen other horse trained by her before and they all are super quiet. I believe it...I don't think they were drugged. I always thought this stuff was crazy until I got my STB and started playing with "spooky" things...I've pulled tarps all over him and covered him with them too. Some horses either a) just aren't afraid of these things or b) have been raised/trained in such a manner that they have no reason to fear things like traps. She has obviously spent a lot of time with her horse and has his/her trust. good for her! Well if she is the same person - http://www.valleyviewranch.net - Then I don't think the horse is drugged. It seems she is pretty successful at what she does. s.. Not all youth think they are immortal & not all adults think they aren't immortal for that matter :). There are always exceptions. The only thing I'd say is, wear a helmet. Obviously that is a wonderful horse and there are many of them out there that would do all those tricks. The tarp is exceptional but can be done. I had a thoroughbred that I could ride right down the middle of a highway with trucks going by and she did not care. It all depends on how you bring them up. I had had her since the day she was born. That horse should be on the police force. STB's are such a calm admirable breed. They make great police horses. There is a fellow from Australia who has a fireworks act. I hope the horse wears ear plugs, but he is certainly unfazed. Very imaginative to think up even trying those things on a horse...I sure wouldn't!